Yoga in paradise? Yes, please! Escape the cold this winter, immerse in daily yoga practice, unplug in nature, soak up the sunshine, swim in the ocean, make lifelong friendships, enjoy heavenly food, go on an adventure. Enjoy the breathtaking views from your window - the turquoise sea and its pulsating waves, the colors of the birds of the island jungle. Take this precious time, a moment in this gift of life to tune into the pulsation of your radiant heart. Join me for a one-week Yoga Retreat in a serene tropical sanctuary of Vikasa Retreat Center, in Koh Samui, and re-connect with your highest self, experience the transformational wave of energy encompassing your life, and return home vibrating pure radiance. Koh Samui, one of Thailand’s largest islands in the Gulf of Thailand, is known for its palm-fringed beaches circling coconut groves and dense, mountainous rainforest. It’s also home to Vikasa, the ideal place to practice yoga, find like-minded people, eat healthy food and just chill-out in an amazing environment. You might want to meditate on your own on a cliff overlooking the sea, or just relax with a book by the infinity pool. ike the property and enjoy the spectacular views of the Bay. Or you might want to be alone in your own space and relax in your room. All of the accommodation gives you the opportunity to unwind and continue your progression towards a new you. Spanda Vinyasa method. “Spanda” is a vibration, or movement, referring to waves of activity emerging from the subtle creative pulse of the universe, manifesting into the dynamism of living form. Everything in this universe has its own vibrational frequency and so do our bodies, our thoughts and our emotions. Positive emotions like LOVE, joy and compassion, have a very high vibration, one that is healing and more conscious. Through yoga practice we can release emotions of fear, hurt, pain, anger etc, which are nestled deep within our physical and subtle body and change our vibration. We can choose to resonate with to vibration of LOVE, joy and compassion. Once we raise our vibration, this will start influencing other people around us. To live from the heart, and to radiate love - this is the true path of yoga. 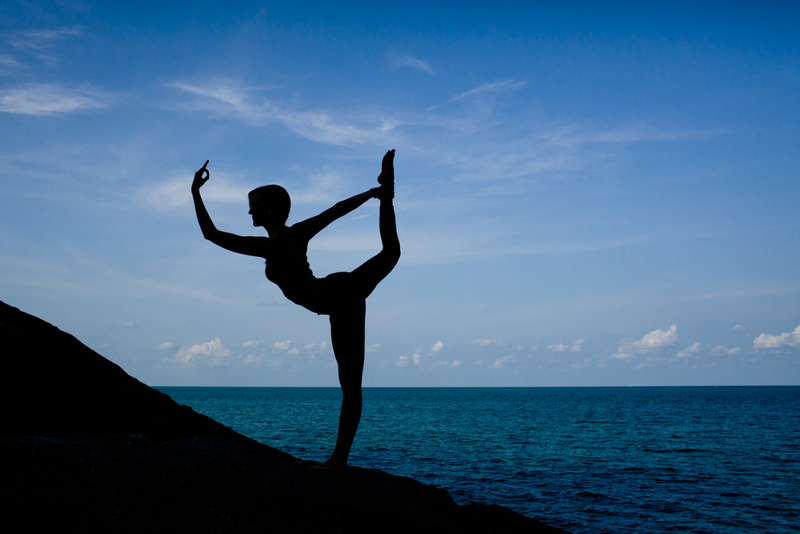 Our retreat programme is packed with yoga! With daily vinyasa and restorative classes, meditation, pranayama, and talks on philosophy, you will have a chance to immerse yourself fully into yoga. The more vigorous morning practice also includes meditation, pranayama and a restorative session. Mindfulness and focus on breath are an integral part of class and attention is always given to proper alignment of physical body in order to align the subtle. Morning practice will energize the mind and body for the day ahead. In the afternoons we will explore the physical and subtle body more deeply - working to calm, restore and heal the body, mind & spirit. For the minimum carbon footprint during your stay, try out the authentic Zen Bungalows. The Zen Bungalows are perfectly named, being eco-friendly, traditional huts built with local, natural materials. They provide an opportunity to leave contemporary hotels behind and feel yourself become totally at-one with Koh Samui’s natural surroundings, with the stunning views from our cliff-top location right outside your door. Zen Bungalows offer single beds with mosquito nets and fans to keep you cool while using minimal energy. A truly authentic experience. If you’re traveling alone and want to truly immerse yourself in the stunning natural surroundings, why not enjoy the sweeping views from the small but cozy Yoga Caves. The air-conditioned Yoga Caves offer a quiet, personal place to stay for individual travelers. The yoga caves do not have bathrooms en-suite. There is a large shared and public restroom and shower facility located just behind the block of Yoga Caves. The showers have hot water and shampoo provided. A bathrobe is provided in each cave for your comfort. Immerse yourself in paradise with spectacular ocean views and an intimate private beach on your doorstep. Drift to sleep in comfortable bedding to the sounds of waves breaking on ancient rocks. The rustic, clean and comfortable surroundings feature a queen-sized bed, and a fully stocked mini-bar and your own balcony. Bungalows come with simple interior bathroom with hot shower, AC, mini fridge and a safety box. As well as a view of the azure bay outside, the beautiful Ocean Rooms offer every convenience. Rest and recharge in a king-sized bed and awaken to a spectacular sea view that will energize you for the day ahead. Step out onto your private balcony to enjoy the fresh island air, relax and read a book or meditate and feel at one with the natural surroundings. It’s easy to be healthy and feel the transformation during our Yoga Retreat when you nourish yourself with two healthy buffets everyday. You’ll have an abundance of fresh local organic fruits and vegetables, organic eggs sourced from the Northern hillside tribes’, amazing creative dishes and a selection of raw food to choose from. In the mornings, you can indulge in freshly squeezed juice, tea and coffee, a sunny side up or vegetable omelette, wholegrain toasts, oatmeal/ muesli with yoghurt, or chia seeds pudding, superfoods, boiled veggies with specialty in-house organic dips, vegetarian sandwiches or pancakes, and of course a variety of fresh-cut tropical fruits. Dinner includes a hot soup, typical local Thai dishes with tofu, organic brown rice, two or three vegetarian dishes, fresh salad, dahl, and always one seafood dish. For dessert we serve fruits, occasional delectable mango sticky rice or other uniquely Thai savouring. The buffet (brunch and dinner) is inclusive in all category room rates. Enjoy your meal on a terrace with a breathtaking view of the pristine ocean, or curl up in the sanctuary of the chill out lounge, dotted with comfy beanbags and familiar faces. There is a lot to do during your free time! Remember that you are on a retreat so all of the classes and activities are optional. You can always relax at the pool, enjoy the Spa, or hit the Gym. But you might also chose to explore further. 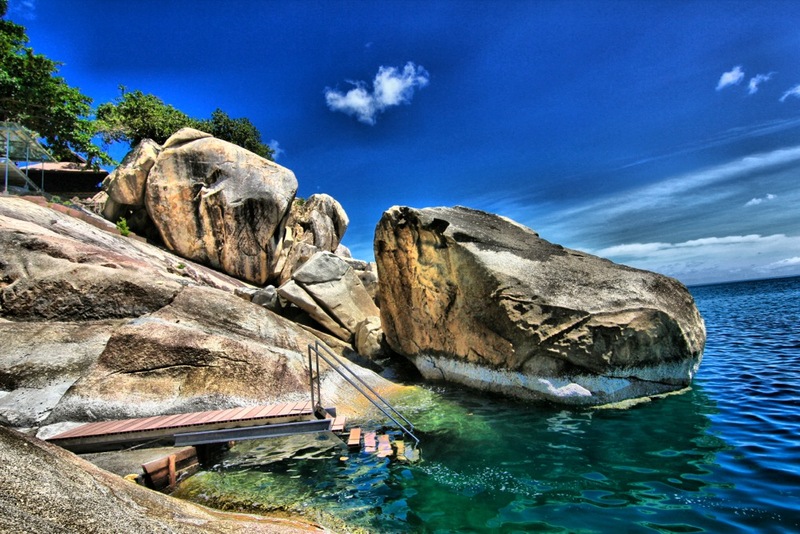 Explore the beautiful island of Koh Samui and the discover the stunning exotic places. Go off the beaten path to inspire your adventurous spirit and enjoy some fantastic photography opportunities. There are a number of optional tours to chose from- to give you a taste, these include hikes through Koh Samui’s stunning nature, and visits to the waterfalls; a coconut farm run by a traditional Thai family; a traditional Mango plantation; shopping at the local market; visit to the Buddhist Temples; beach transfers, and more. The Vikasa Spa offers a range of comforting services that will leave you feeling relaxed and refreshed. Authentic Thai massage, Swedish, Indian as well as soothing restorative massages, manicures, pedicures, facials and complete body scrubs are available to ease away your every care. For a unique experience, enjoy a special treatment such as Manual Lymphatic Drainage Massage or a detoxifying Herbal Thai Compress Treatment. All treatments are using quality organic and locally manufactured products. The Spa is open-air and constructed on a stunning ocean cliff-side. Get active! Train on the roof of the Skygym, surrounded by amazing landscape. The gym is equipped with top of the line machines for fitness and weight training and offers personal fitness training. Train outside with fresh air and natural light instead in a room with recycled air by air-conditioning.